Lets face it. 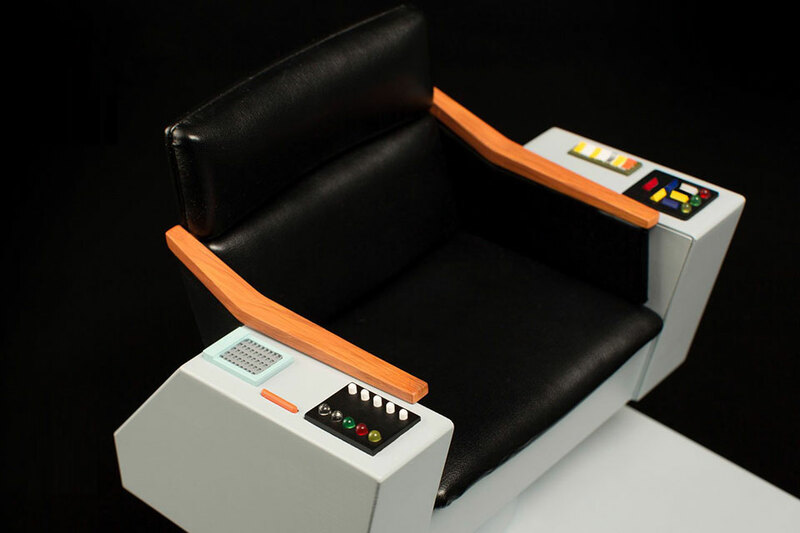 Not every Star Trek fans, AKA Trekkies, can afford to drop $5,500 for a replica Star Trek The Original Series Captain’s Chair and going the inflatable route is far less authentic and satisfying because, inflatable. Even if you are willing to part with the princely sum or willing to compromise, those two collectible furniture are no longer on the shelf. 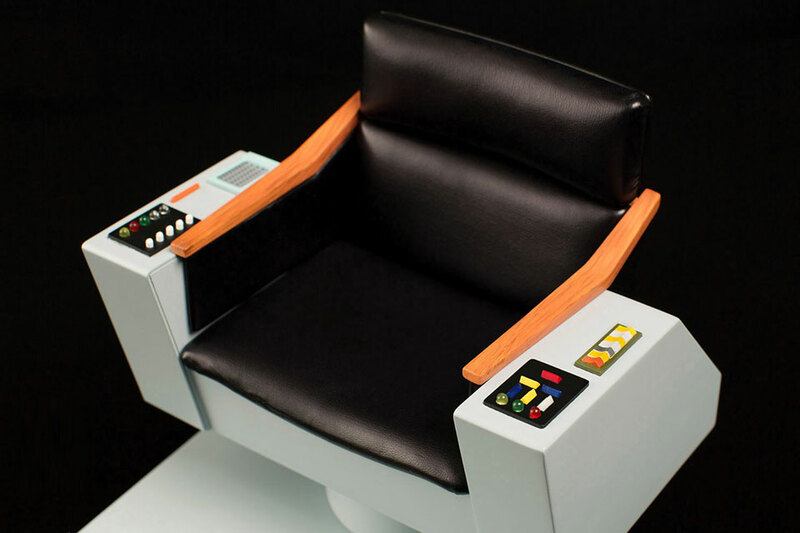 This is precisely why there is the Star Trek TOS 1:6 Scale Captain’s Chair FX Replica, created by Quantum Mechanix. 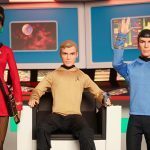 This miniature Captain Kirk’s throne lets you have the cake and eat it, or at least a teeny weeny of it. Well, it is of 1/6th scale, isn’t it? 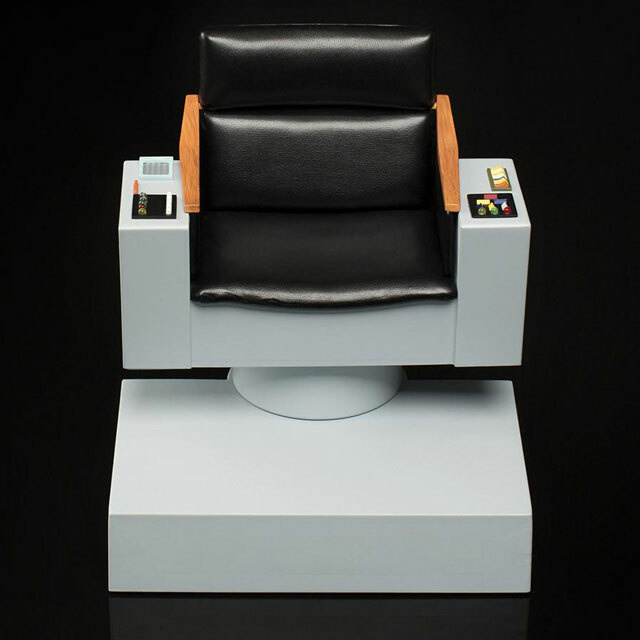 It is a replica and hence, it looks exactly like Captain Kirk’s iconic chair. 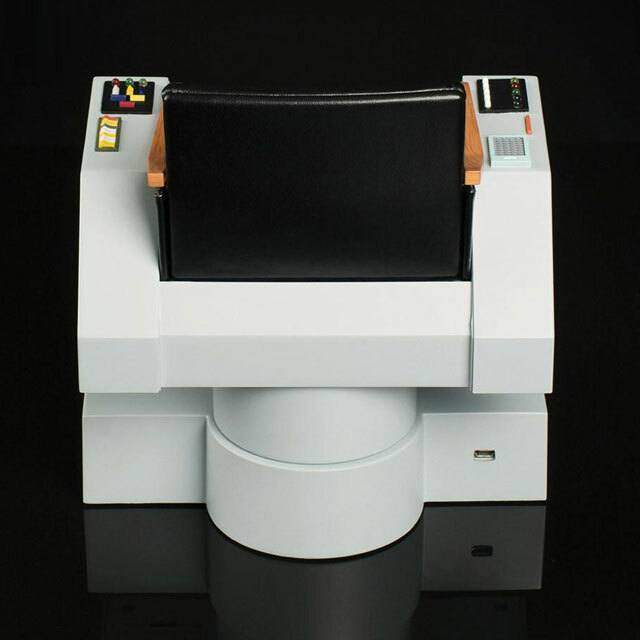 It even swivels like a the Star Fleet Captain’s throne and plays sounds and lights to boot. If you ask me, it is pretty darn cool despite the in fact that you can’t use it, but your 1/6th scale figure sure can swoon over this majestic space age throne. 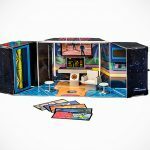 It is an officially licensed merchandise that boasts exacting details – the swanky, sci-fi-ish, space age control panels and all, and features four different light and sound settings including standard bridge operations, ship-wide announcement, viewscreen scanning, and red alert. The effects are powered by AA batteries (not supplied), but it can also powered by a mini USB cable (not supplied). It may be a 1:6 scale replica, but boy this chair is still pretty imposing at 8 inches tall. 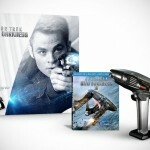 Would make a lovely desk display for Trekkies, with or without 1/6th scale Captain Kirk action figure. I proposed it a place for your smartphone, though I am not 100 percent sure if it will fit. 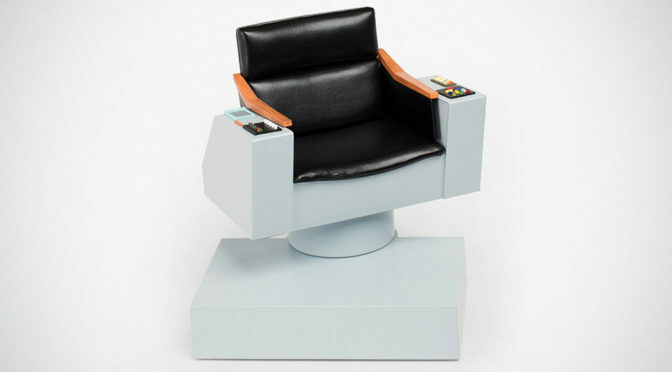 You can find the Star Trek TOS 1:6 Scale Captain’s Chair FX Replica on ThinkGeek going for $59.99. Oh, wait. It was listed just a couple of days ago, but already, it is sold out. Well, that was fast. Continue reading to find a video of the effects in action.